We preload all small parts, including:Back Cover Housing,Power button and power button flex cable,Side Keys and SIM card Tray,Charging port flex cable,Back camera lens and ring,Battery adhesive sticker,Vibrating motor,Logo. Can be used to repair a broken or cracked Back Cover Housing Assembly. We 100% test all our product before shipping out, they are best quality and 100% work. We only sell AAA quality and original product, no A or B or lower quality! Quality is most important for us. Please see how we control our quality. We offer 6 months warranty. Replace defective product and charge for return cost. Please test all product before installation, wrong operation may cause damage to pruduct, we won't send replacement for it. 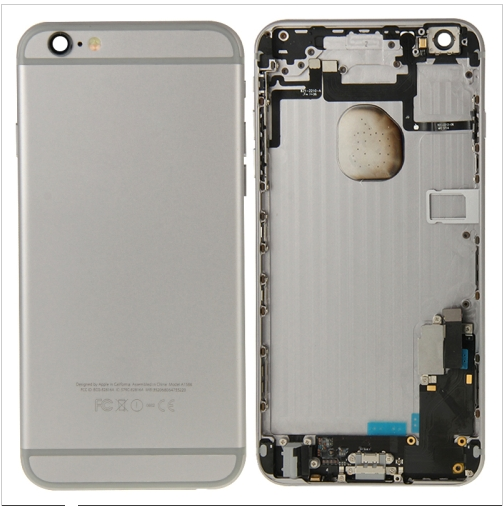 Click the button below to add the Back Cover Housing Assembly for iPhone 6 plus Gray to your wish list.